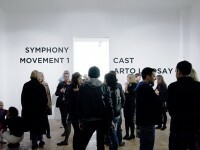 SYMPHONY is a performance series in six movements, organized in collaboration with VeneKlasen/Werner, which was presented in the gallery September 2010 to June 2011. 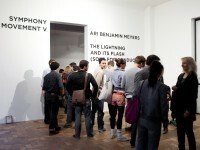 Musicians, composers, and visual artists were invited to make works that expand on the traditional concepts of concert and exhibition, and to present these works as unique events, or ‘movements’, in the gallery. 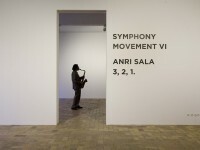 Exploring new strategies and situations in performance, each movement of SYMPHONY plays with – or against – an idea of conversion: each musician is confronted with a new staging, which does not resemble a typical concert; likewise, each artist risks a step into the musical world, disregarding the notion that artworks exist as purely visual strategies. The series included works by Arto Lindsay, Olaf Nicolai, Annika Eriksson, Bo Christian Larsson, Ari Benjamin Meyers and Anri Sala.